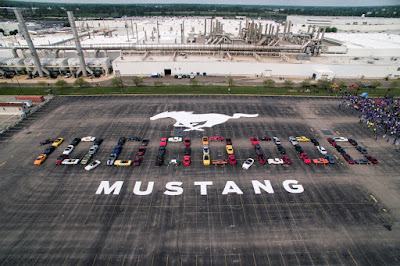 Ford is celebrating the production of its 10 millionth Mustang, America and the world’s best-selling sports car three years straight. Fittingly, the 10-millionth Ford Mustang is a 460-horsepower GT V8 convertible equipped with a 6-speed manual and finished in Wimbledon White. Assembled at Ford’s Flat Rock Assembly Plant in Michigan, it matches the first serialized Mustang (VIN 001) produced in 1964 which came with a 164-horsepower V8 and a 3-speed automatic. During its 54-year production history, Mustang also was built in San Jose, Calif., Metuchen, N.J., and the original Mustang production facility in Dearborn, Michigan. The Mustang is America’s best-selling sports car over the last 50 years, based on Ford analysis of 1966-2018 total U.S. new vehicle cumulative registrations for all sports car segments supplied by IHS Markit. It has also been the best-selling fixed roof sportscar in the world for three years straight. Now on its sixth generation, the Ford Mustang also has the distinction of having the most Facebook likes compared to any other vehicle nameplate. 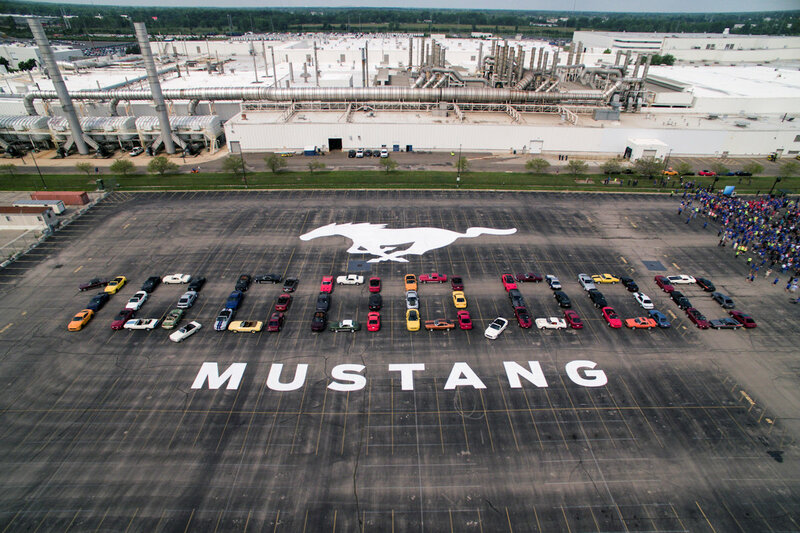 2004 - Dearborn Assembly Plant ends 40 years of Mustang production moves to Flat Rock Assembly Plant in Flat Rock, Mich.